Customer Relationship Management software conferences and events provide the forums to hear directly from the industry's thought leaders, learn the trends that are most influencing the future, sharpen your skills in educational break out sessions, visit with leading software technology suppliers and network with practitioners, peers and colleagues. CRM conferences provide the venue to immerse yourself in the industry conversation and strengthen your virtual relationships with face to face dialogue and interaction. CRM software and industry conferences provide the forums for executives, managers and customer facing staff to learn how others have successfully developed strategies, implemented programs and created value. Learning the steps which worked for others, as well as the steps to avoid, can enable attendees to better acquire, retain, and engage customers more efficiently and effectively. The 18th Microsoft Convergence delivered a flurry of announcements and product plans that made this annual gathering far more notable than most. In this Best of Convergence review, I share how new Microsoft leadership changes look to substantively change the company at large, and then drill down into some of the most substantive Dynamics CRM updates we've seen in a long time. The Microsoft Worldwide Partner Conference (WPC) delivered the official announcement for Dynamics CRM. Here I share Microsoft's CRM progress in terms of market adoption, and identify what makes this new release different, the CRM product roadmap, new CRM pricing and some lingering questions about what's still missing. Dreamforce focused on social business and CMO’s, but also inadvertently demonstrated the shrinking distance between innovation and commoditization. A lack of notable product announcements made this 10th Dreamforce different than prior conferences. Here we look at and how this event will influence the foreseeable future for Salesforce.com and the competitive landscape. 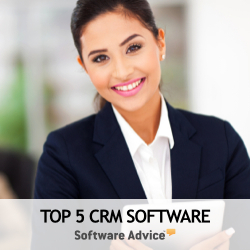 CRM Evolution brings together many of the industry’s top thought leaders in a vendor neutral setting. This is one of the top two CRM industry conferences where customers, practitioners, vendors and other community participants come together in a no-pretense environment and engage in candid conversations and common interests. SAP SAPPHIRE NOW was big on vision statements; but innovation and new products? —not so much. Here we extract the top take away information and apply a closer examination of SAP CRM, an interesting new gamification concept, the new cloud chief's cloud strategy, an update on social, some new technology decisions and where SAP's biggest product stands. SugarCRM SugarCon gave plenty to talk about, but the top take-away messages that most grabbed my attention and forecast what we can expect to see from this company included the company's business performance execution, the release of Sugar 6.5 and the three underlying constructs that collectively set the vision and traverse through to the application design and value proposition. The Gartner Customer 360 Summit merged the traditional CRM tracks of sales, marketing, service and analytics with the trending themes of cloud, social, mobile, big data and customer experience. Here's our review, top take-aways and some of the more interesting research points and quotes from this annual CRM conference. Germany's CeBIT, the world's largest technology trade show, attracted over 300,000 attendees and placed a significantly increased emphasis on cloud solutions. From the CRM perspective, it was SAP who stole the show with previews of Sales OnDemand. SAP executives acknowledged prior SaaS CRM product missteps and a downward pressure on subscription pricing, but also levied a continued push. The two day seminar spoke directly to Social CRM strategy. The intended audience is business practitioners familiar with traditional CRM who desire to influence or implement their companies social CRM strategy. The seminar goes into great discussion on the transition from managing customers to engaging customers - and from changing the conversation flow from monologue to dialogue.